Compared to other parts of a car, like an engine, for example, an auto glass of Carrollton often not gets the same level of attention. People tend to consider them “necessary” but not really that important. The fact is auto glass plays a very important role in your safety when driving. That’s why you need to give your vehicle’s auto glass proper treatment as they deserve. This is not just a piece of glass that blocks the wind while you’re driving, but it’s also an integral part of a vehicle’s structure that supports the entire roof. So maintaining your windshield to make sure it’s always in a good condition is a must. A chip or a crack on a windshield that can happen anytime should be treated immediately. A small crack that sometimes can be hard to see could get bigger and spread across the windshield very quickly. At this point, you can no longer see very clearly when you’re driving, which is very dangerous for you and the passengers. But not only that, sometimes a damaged windshield no longer has the strength to support the roof like it used to be, so when the cracks get too big, the whole roof of your car might cave in. You may think it’s very unlikely to happen, but actually, such an incident has happened more often than you think. Cracked windshields are no longer able to provide optimum protection for people inside the vehicle in case of an accident. 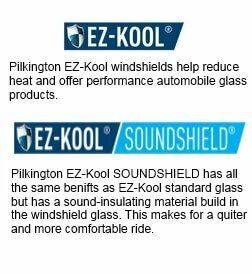 Our Carrollton auto glass is made with two layers of safety glass with another layer in the middle made with an extremely strong plastic material that holds the outer and inner layer together, forming a shield that’s extremely strong and hard to break. Above all, windshields are designed to block other particles that you might come across on the road while driving. The windshield is also designed to protect you from an impact during a collision. It also prevents objects from entering the car and harming the people inside. Furthermore preventing passengers from being ejected out of the car. en though the auto glass materials used on these parts of the car are not as strong as the windshield, they are still more than 10 times stronger than regular glass and they also serve both as your protection and parts of your vehicle’s safety structure. Now you know the importance of auto glass for vehicles as well as your own safety. Whenever you notice damage on your auto glass, take your vehicle to our local shop in the city of Carrollton. Even though you can save money by using a DIY auto glass repair kit, it’s not the same. Our professional auto glass technicians are trained and very experienced to make any repairs needed. As a result, the cosmetic outcome is much more professional looking. These professionals really know what they’re doing. They have the skills, experience and they understand completely about the safety standards of auto glass installation. So always think about safety first, take your car to a trusted auto glass repair shop in the city of Carrollton, TX whenever you see a problem with your auto glass.